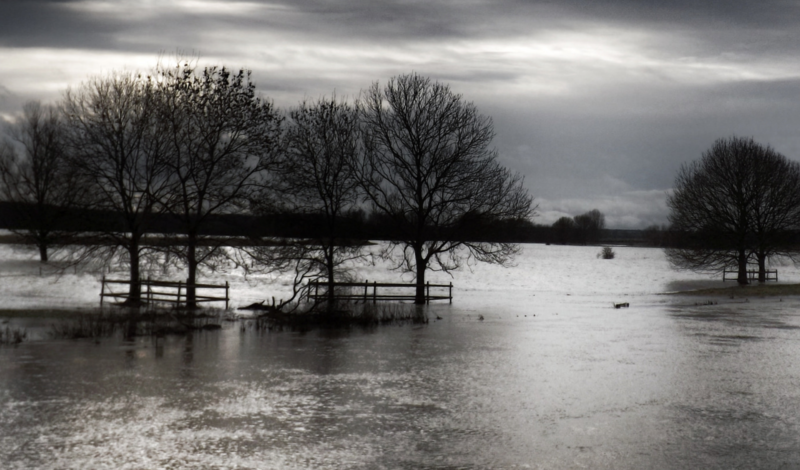 Home › Learn › Articles › Are European decision-makers preparing for high-end climate change? Despite the Paris Agreement target of holding global temperature increases 1.5 to 2°C above pre-industrial levels, high-end climate change (HECC) scenarios going beyond 4°C are becoming increasingly plausible. HECC may imply increasing climate variability and extremes as well as the triggering of tipping points, posing further difficulties for adaptation. This paper*, published in Regional Environmental Change (Capela Lourenço et al. 2018), compares the outcomes of four concurrent European case studies (EU, Hungary, Portugal and Scotland) that explore the individual and institutional conditions, and the information used to underpin adaptation-related decision-making in the context of HECC. The focus is on (i) whether HECC scenarios are used in current adaptation-related decision-making processes; (ii) the role of uncertainty and how climate and non-climate information is used (or not) in these processes; and (iii) the information types (including socio-economic drivers) commonly used and their limitations in relation to HECC scenarios. Decision-makers perceive HECC as having a low probability or distant occurrence and do not routinely account for HECC scenarios within existing climate actions. They also perceive non-climate drivers as at least as important as, in many cases more important than, climate change alone. While more information about the implications of particular sectoral and cross-sectoral impacts is needed, climate change uncertainty is not a significant barrier to decision-making. Further understanding of individual and institutional challenges brought about by the “squeeze” between adapting to HECC scenarios or to lower levels of temperature change (like those agreed in Paris) is essential to better contextualise the use of climate change information. This paper is affiliated to the IMPRESSIONS project. *Find summaries of key sections of the paper below. Download the full text from the right-hand column for more detailed information. A set of semi-structured interviews were conducted with decision-makers across the four case studies to collect empirical data about their adaptation-related decision-making processes and respective information and support needs. The interviews focused on current decision-making processes and how these may need to change in relation to high-end scenarios, so as to investigate the question of what is different about decision-making that considers high-end futures. Four key themes were explored in the interviews: (1) the use of climate change information in adaptation-related decision-making processes; (2) the limitations and challenges of using climate change and HECC information; (3) the implications of uncertainty for adaptation; and (4) the use of non-climate information and its influence in adaptation-related decision-making processes. Additionally, the number and diversity of interviewees allowed exploring the implications of the 1.5 °C Paris target vis-à-vis HECC scenarios, for adaptation-related decision- making. Interview results indicate no particular constraints in the access to climate change information (high-end or not) in the four cases (European, Hungarian, Portuguese and Scottish) and point that its use in the decision-making processes is rather common (Fig. 2, below). However, it also shows that limitations in the use of this sort of information are also commonly reported by decision-makers. As to the usefulness of this information in helping making decisions (adaptation-related or not), a different case emerges. In two of the cases where more detailed information is available, Scotland and Portugal, between one third and half of the respondents agree that climate change information has proven useful and helped making adaptation-related decisions. Interestingly, rather than replying negatively to the question about how helpful was the climate change information to the decision-making processes, the remaining participants preferred not to answer or stated they were unsure. When questioned on existing limitations to the use of climate change (HECC or otherwise) information for decision-making, the views expressed by the participants point towards issues of usability and availability of specific types of climate information rather than about uncertainty in the information. Results from these cases do not show a clear pattern in terms of what the uncertainties associated with HECC scenarios as well as the Paris agreement targets mean for adaptation. As mentioned above, current decision-making processes appear as ‘insensitive’ to specific levels of global temperature change and tend to focus more on the impacts and consequences at their respective scales or institutional interests. Responses highlight a greater focus on the perceived uncertainty around climate impacts at individual case scale, rather than global targets or pathways. The use of climate change information is, to different degrees, common in the decision-making processes of all the four case studies analysed. On the other hand, HECC scenarios are not commonly perceived as having a higher likelihood, and thus, current decision-making processes do not routinely include HECC information in their frameworks. The primary reasons for this include lack of usability, inadequate contextualisation within broader decision-making needs, and/or insufficient availability of cross-sectoral and non-climatic (socio-economic) information. Institutional settings and decision timeframes further inhibit the consideration of HECC scenarios in current adaptation (and to some extent mitigation) actions. Uncertainty is not generally perceived as a barrier to action but does play a significant role in decision support because of the current reliance on climate-centred approaches. Further understanding of the individual and institutional challenges brought about by the ‘conflict’ between adapting to HECC or to more moderate levels of change as agreed in Paris is essential to better contextualise the use of climate change information. In turn, this would potentially provide the currently needed scope for decision-centred approaches to climate adaptation-related decision-making.